This is a fabulous Art Deco lamp. The round chrome base has a cylindrical column positioned on one edge. 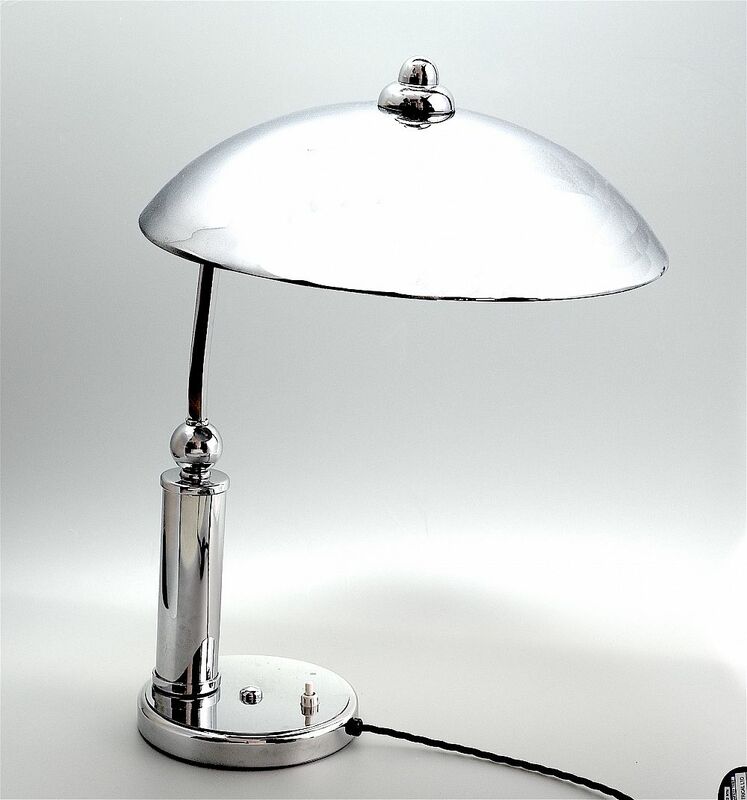 The column leads to a round chrome sphere beneath an arcing arm that holds the bulb holder and a domed chrome shade. The underside of the base is stamped "E.V.O" above a torchere mark and "Made in Belgium". The position of the column and the arcing arm would suggest that this is a desk or reading lamp but its stylish simplicity would grace any room. Please note that this light has a plug with 3 square pins and is wired for the UK system. Please check whether this is compatible with your system before purchasing as returns will not be accepted and refunds will not be given if there is an electrical incompatibility problem.